Hello Kitty wanted to lunch at Yat Lok (一樂燒鵝) today, as she has been missing their fantastic roast goose. I, however, am on a diet. 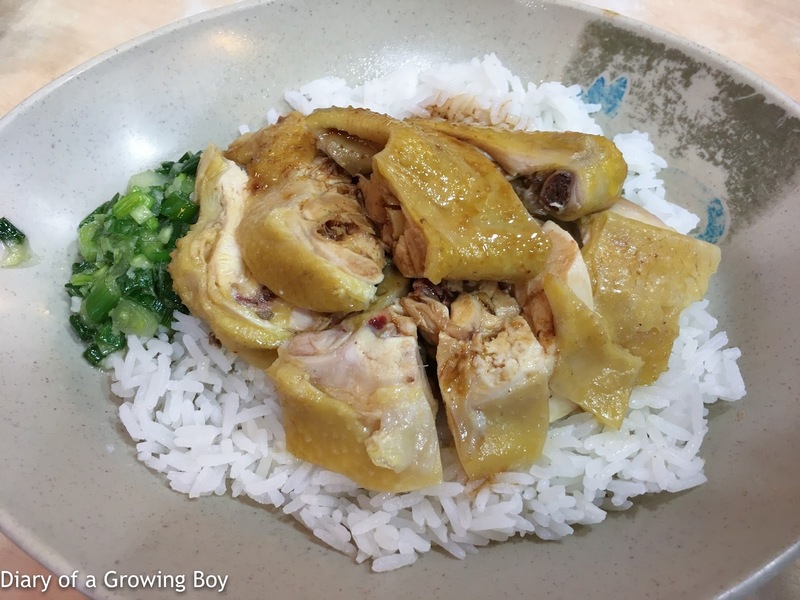 This means that goose is out of the question for me, so I revert back to my old habit of having steamed chicken with rice (切雞飯). The chicken here is pretty good, but as I'm on a diet, I make sure to peel off all the skin and fat of the chicken. I also don't touch the minced spring onion and ginger on the side. 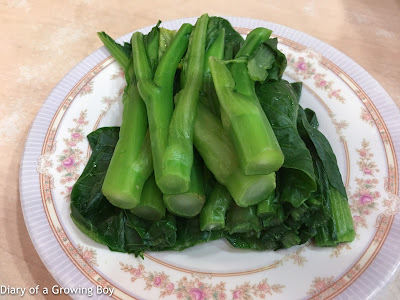 We also share a plate of blanched choy sum (菜心全走).